Wells Fargo & Company announced today that Well Fargo is hosting a free Home Preservation Workshop in the Washington state region in USA. 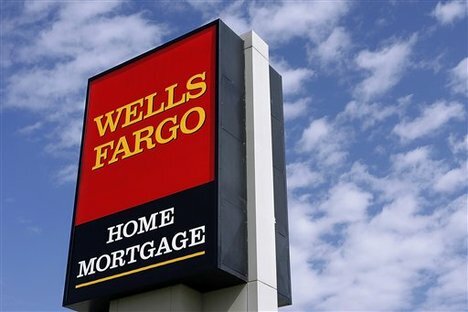 Well Fargo shows about their Wells Fargo Home Mortgage, Wells Fargo Home Equity, Wells Fargo Financial and Wachovia Mortgage. Wells Fargo invited nearly 16000 mortgage customers to this workshop for Oct. 20-21 from 9am to 7pm. The location of Wells Fargo Home Preservation Workshop at Gaylord National Hotel & Convention Center, Prince George’s Exhibition Hall, 201 Waterfront St. in National Harbor, MD. Registration is strongly recommended for customer of this Wells Fargo Home Preservation Workshop. Mortgage customers and others, who want to attend this workshop, must be registered in order to guarantee the ability to meet 1 on 1 representative. The last date of registration is Tuesday, Oct. 18. For more info, Call 1-800-405-8067. Near than 100 Wells Fargo Home Retention team members will be on hand at the upcoming workshop to work with customers including bilingual specialists. Possibility of mortgage type, where possible, how customers will receive a decision on a workout, loan modification etc will discuss here. Wells Fargo’s regional servicing director Marie Day said, “Wells Fargo wants to help its customers succeed financially and keeping them in their homes is a top priority.” Marie also added that, this home preservation workshop offers Wells Fargo and Wachovia home mortgage customers, who are faced with payment challenges, the opportunity to meet face-to-face with our home retention specialists team members to explore and discuss the options available for them.